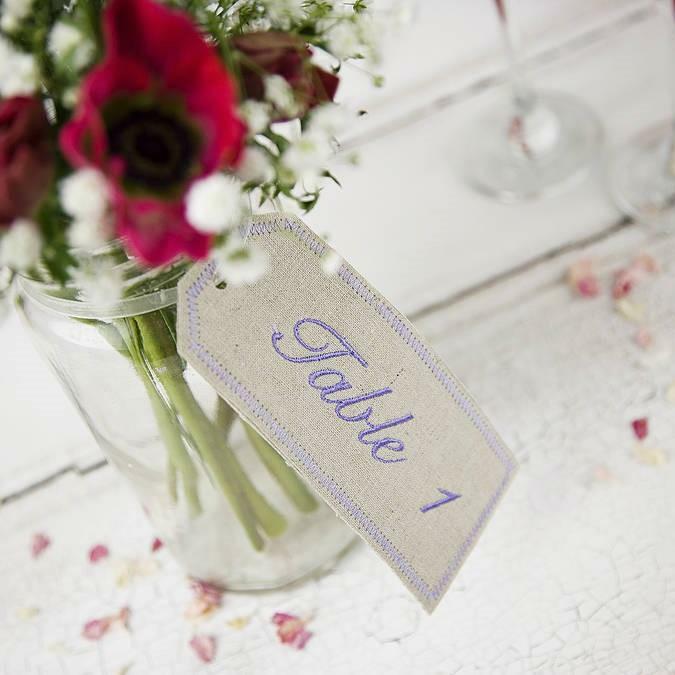 Vintage inspired embroidered fabric table numbers. These lovely and unusual fabric embroidered labels, are inspired by the old fashioned luggage labels. 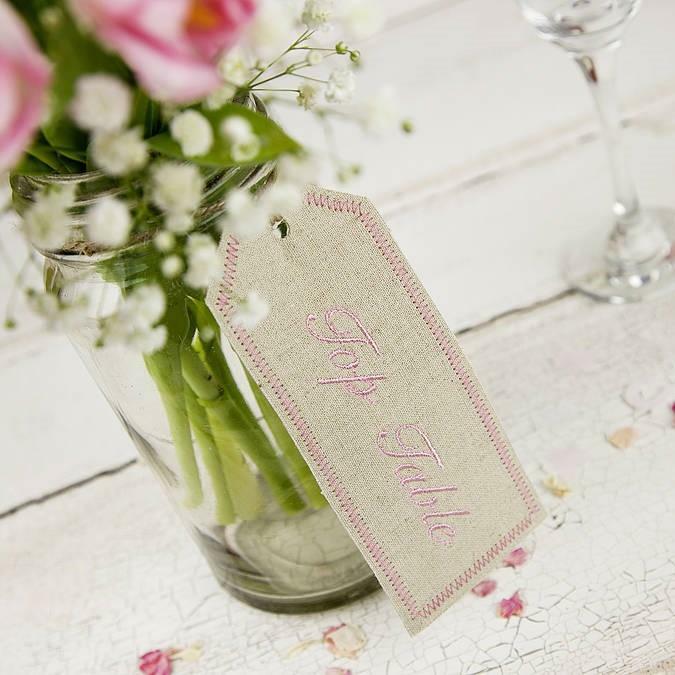 They come with a length of twine to attach as you wish, try wrapping them around jam jars filled with seasonal flowers or tea cups for a vintage style wedding. Made from a natural coloured linen. Embroidery colours; Pink, Blue, Lilac, Teal, Sage Green and Brown. Why not have your wedding colour? I can match to any colour, just use the "contact the seller" button to discuss.